Paul Gauguin was unquestionably one of the most talented, influential and interesting artists of the 19th century. Classified as a Post-Impressionist, Synthesist and Symbolist artist, Gauguin is popularly known today for his turbulent creative relationship with fellow artist Vincent van Gogh, and his self-imposed exile to Tahiti. Deeply affected by exotic identity (Gauguin's mother was of Peruvian descent), Gauguin paved the way to Primitivism, and was an expert exponent of wood engraving and woodcuts. In searching for the life of a savage, Gauguin traveled further than any other artist from the reaches of urban Westernization in pursuing this goal. For this reason, often to the detriment of a serious consideration of his art, he has become somewhat of a romantic figure, the embodiment of an artist as a rebel against society. 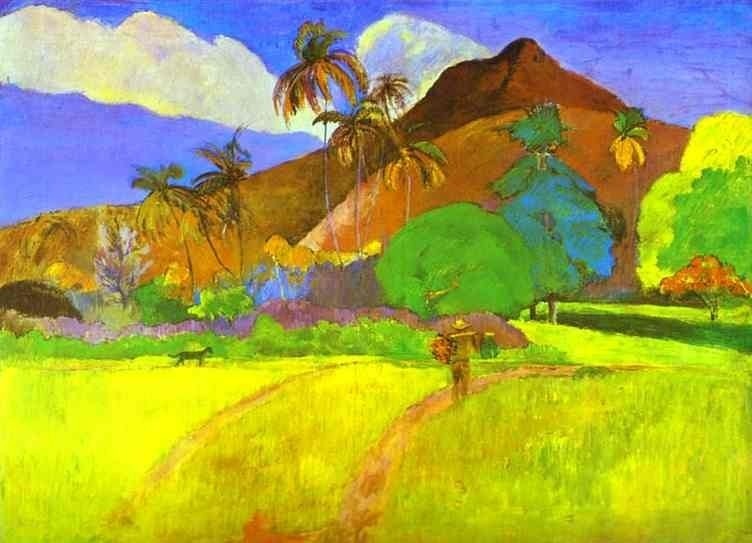 Gauguin's life was just as colorful as his art. A political exile, merchant marine, stock broker, art collector, laborer, artist, sculptor, pauper and cast out are just some of the phases that characterized Gauguin's 54 years on earth. In that time he was also the influential founder of several schools of art, including the Pont-Aven school. 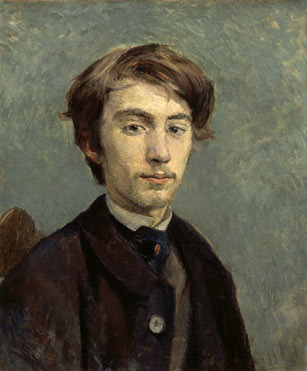 Paul Gauguin was the only son of Clovis Gauguin, a radical republican journalist, and half-Peruvian Aline Maria Chazal. In 1849 his father's political activities forced the family to go into exile in Peru, where his father died en route. His family stayed in Lima for four years before returning to France. At the age of 17 Gauguin joined the French merchant navy, traveling around the world for six years. After the death of his mother in 1867, he settled with his wealthy guardian, Gustave Arosa, who shaped Gauguin's interest in the Arts. 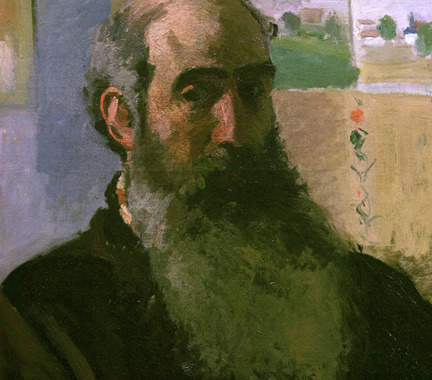 He started collecting Impressionist paintings, and became an amateur painter. Gauguin's transformation from a stockbroker to an artist came arbitrarily after the financial crash of 1882. In 1887, Gauguin decided to leave France and set sail to Panama together with a painter friend, Charles Laval. Gauguin worked as a laborer on the Panama Canal, but was fired after two weeks. He soon left Panama for Martinique, where he gained a lot of experience in his development as an artist. In Martinique he broadened his vision and this enabled him to develop original interpretations of Brittany scenes when he returned in 1888. 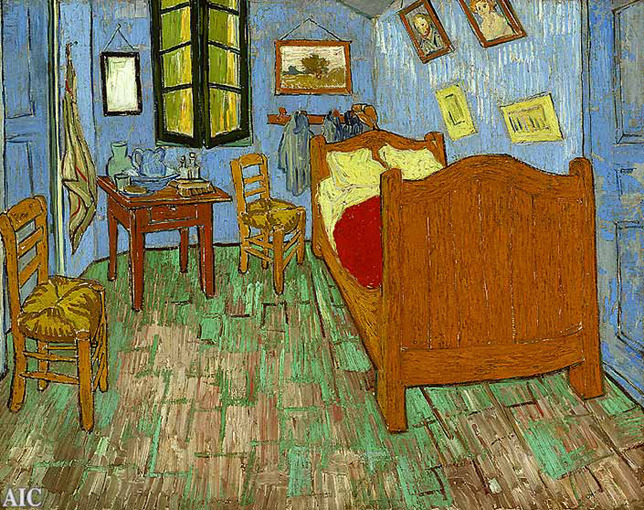 Gauguin's infamous stay with van Gogh in Arles was a traumatic but also fruitful experience for both artists. The two artists learned a great deal from each other, but they were often at odds, culminating in van Gogh cutting off his own ear. Although the late 1880s had been highly productive for Gauguin, he was deeply depressed and in 1891 he left France for Tahiti. He briefly stayed in the capital, Papeete, before relocating to a remoter part of the island. His first stay in Tahiti resulted in a vast artistic activity and a different style. He took every opportunity to study Tahitian old culture and tried to resurrect it in his paintings. Gauguin died at the age of 54 leaving a vast treasure of 'primitive' art which inspired a large number of artists. Gauguin experimented and mastered a range of new styles during his career and is therefore recognized as a highly influential founding father of modern art. In short, Gauguin rejected the tradition of Western Naturalism as a starting point from which to abstract figures and symbols. He stressed linear patterns and color harmonies, which gave his paintings a profound sense of mystery. In addition to that, he began woodcutting for his expressive, irregular shapes and strong contrasts. Given that Gauguin's first foray into art was later than most other artists, he concentrated first on trying to master the techniques of sketching and Impressionism. However, by the time Gauguin had taken up painting full-time, he'd abandoned these principles. 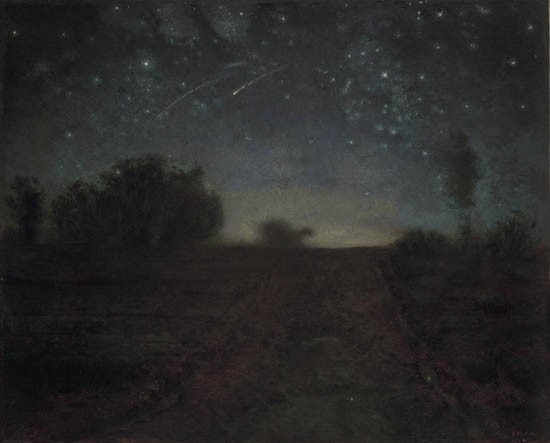 The break was made when he painted Vision after the Sermon, which was created in the Symbolist style. Gauguin's early style is marked with solidity, form and unnatural colors. His subject matters were also more exotic than his fellow artists of the time. Gauguin's middle years can be defined as Synthetism, which refers to the synthesis of his painting's formal elements with the idea or emotion they conveyed. Gauguin and his 'disciples', also known as the Pont-Aven school, became decorative in the overall compositions and harmonies to convey a particular feeling in the viewer. Gauguin and van Gogh's work together at Arles has been classified as Post-Impressionist because it shows an individual, personal development in its use of color, brush stroke and non-traditional subject matter. The rough technique is also close to the primitive ideal. In an attempt to remove himself from Western conventions, Gauguin emigrated to the South Pacific and made sculptures and woodcuts with a deliberately rough look. His more Primitive work was interspersed with images more luxuriant and poetic as he developed his orchestrated tonal harmonies. The best example is seen in his chief Tahitian work, Where Do We Come From? What Are We? Where Are We Going? Gauguin was heavily influenced by the four years he spent in Lima as child. It was his sense of exotic identity that led him to search for primitive subjects in French Polynesia. Paul Gauguin's attitudes to art were deeply influenced by his legal guardian, Gustave Arosa, whose art collection included the works of Camille Corot, Eugene Delacroix, and Jean-Francois Millet. With his interest piqued, Gauguin started painting with Emile Schuffenecker, a fellow stockbroker, and his desire to become a painter was confirmed after seeing his first Impressionist exhibition in 1874. Gauguin's influences are revealed through his art purchases - in total he spent some 17,000 francs on works by Manet, Monet, Sisley, Pissarro, Renoir and Guillaumin. Gauguin's work was also intrinsically influenced by the many close creative relationships he developed with fellow artists, including Charles Laval. He was initially mentored by Pissarro, who took a special interest in his painting career, emphasizing the need for Gauguin to develop an artistic style suited to his temperament. Pissarro also introduced Gauguin to Cezanne, and all three worked together for some time at Pontoise. However, his meeting with van Gogh, the influence of Seurat, Signac along with a rediscovery of the merits of Degas, served to create a style that was totally different to Pissarro. 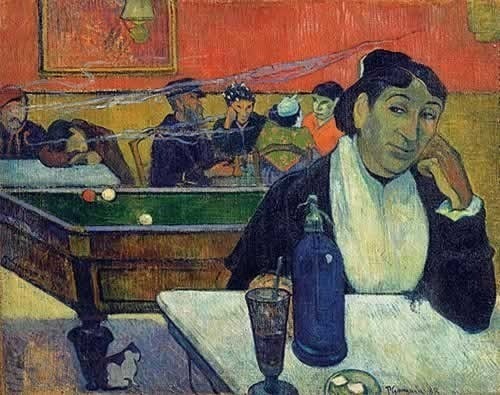 During Gauguin's time in Paris he became acquainted with the literary circles of Symbolist poets such as Stéphane Mallarmé, Arthur Rimbaud and Paul Verlaine. These poets advocated abandoning traditional forms in order to embody inner emotional and spiritual life, and greatly influenced Gauguin, who created their equivalent in the visual arts. Furthermore, the influences of J. A.D. Ingres and Pierre Puvis de Chavannes led him to create increasingly rounded and modeled forms and a more sinuous line in the latter years before departing for Tahiti. As a result, Gauguin's images became more luxuriant and more naturally poetic as he developed orchestrated tonal harmonies. Polynesians paying tribute to an indigenous idol. Painting of a Tahitian woman. Two Tahitian women sitting on a beach. A depiction of a Swineherd in Brittany. A stoneware figure fired in Chaplet's kiln. Gauguin's innovations during his own lifetime inspired a whole generation of artists, most famously the Pont-Aven school (1888/89), in Brittany, France. 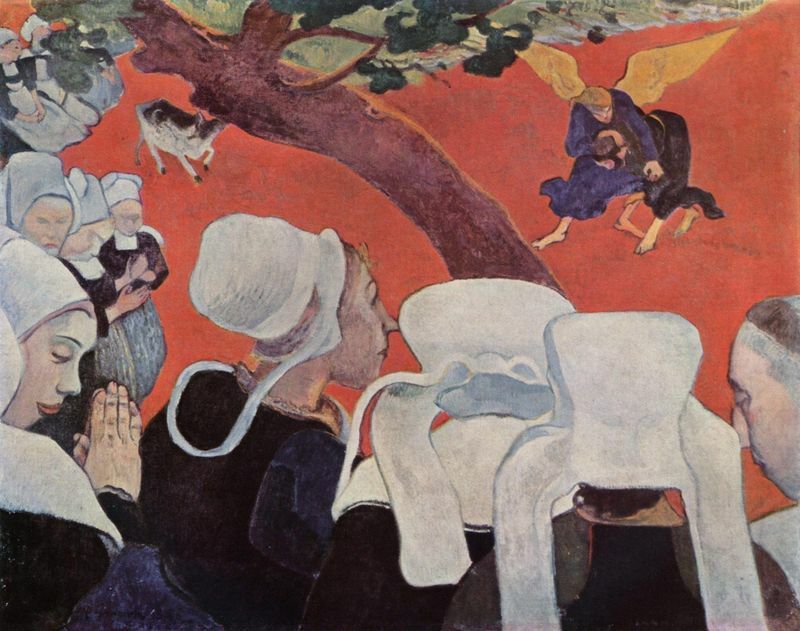 Artists who gathered under Gauguin's informal tutelage included Emile Bernard, Charles Laval, Maxime Maufra, Paul Serusier and Charles Filiger. Gauguin and Bernard are credited with being the first to reject Impressionism and pointillist techniques in favor of Synthetist methods. This Pont-Aven school utilized Gauguin's ideas to form the Nabis group. His disciples adopted his advice not to paint exclusively from nature and abandoned the Neo-Impressionist styles common in Paris. Gauguin's legacy rests with his decision to reject the materialism of contemporary culture and his tireless experimentation. 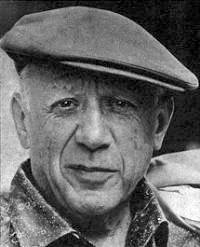 Scholars and art critics have long struggled to define his vision, which attests to his uniqueness. Edvard Munch owed much to Gauguin's use of line, and painters from the Fauve group, particularly Henri Matisse, adopted his use of color in their own works. Gauguin was also followed and had a strong influence on the works of German Expressionist artists such as Ernst Ludwig Kirchner. Moreover, Gauguin's use of iconography influenced Pablo Picasso, inspiring his appreciation of African art and the evolution of Cubism. 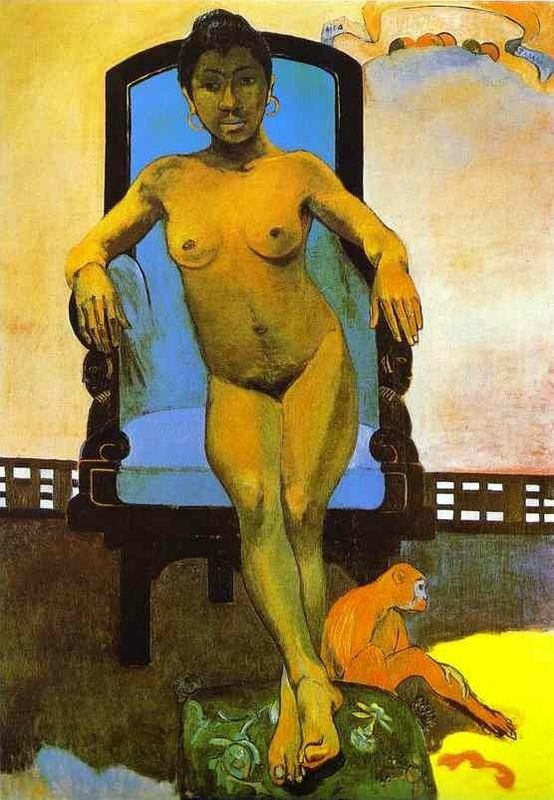 Gauguin can thus be seen as being a primary shaper of 20th century art. When the French stock market crashed in 1882, Gauguin saw it as an opportunity to become a full-time artist. His early works submitted to the Impressionist's fourth exhibition were well-received critically, and convinced organizers of his talent. Gauguin was subsequently accepted into the Impressionists fold. However, by the eighth Impressionist exhibition, critical assessment of his work had turned sour. In the reviews, critics labeled Gauguin's work as classic Impressionism and from then on he chose imagination and memory as central forces in his art. Whilst not embraced critically for this change, Gauguin inspired the Pont-Aven school and many other artists. Deciding he needed to free himself of the chains of Western culture, Gauguin took off for Tahiti. He returned to France 12 months later with a body of work he believed would bring him widespread acclaim. Instead his one-man exhibit at the gallery of Paul Durand-Ruel met with little acceptance. A craze for purchasing Gauguin's paintings came shortly after his death. His posthumous exhibitions in the Salon D Automne in Paris in 1903 and 1906 had a stunning influence on the French Avant-garde movement. 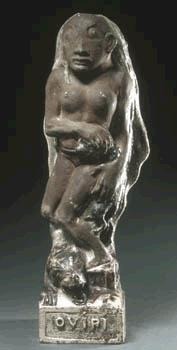 Gauguin's statue Oviri, which was prominently displayed in 1906, was to stimulate Picasso's interest in ceramics and sculpture, and would culminate in the seminal Les Demoiselles d'Avignon. 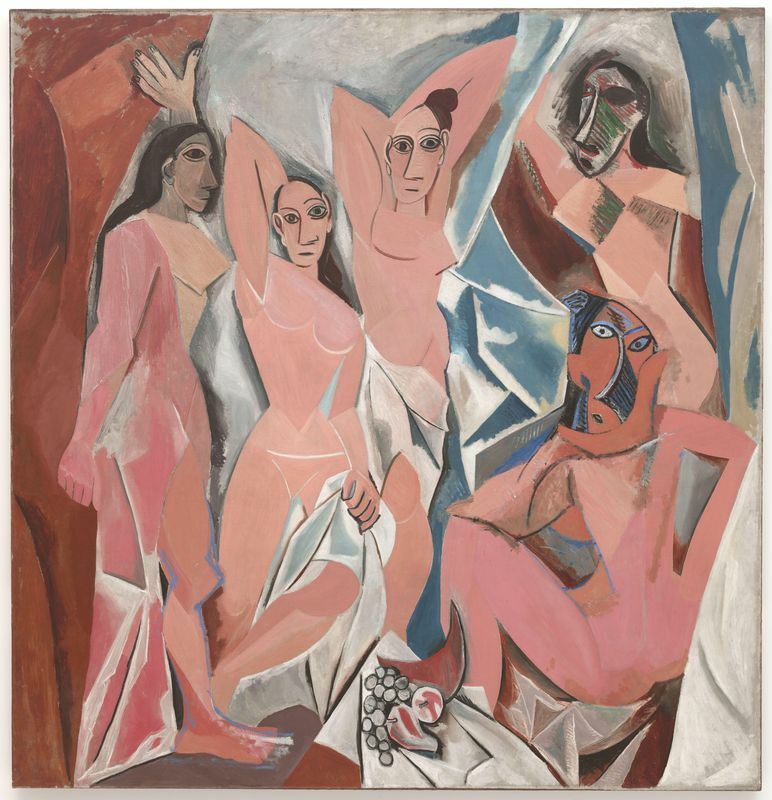 However, only in 1987 when the Musee dÓrsay acquired this little known work, exhibited only once since 1906, was its masterpiece revealed. Gauguin now has his own museum opposite the Botanical Gardens of Papeari in Tahiti. It contains documents, exhibits, photographs and original sketches of Gauguin and Tahitians. In 2003 the Paul Gauguin Cultural Center opened in the Marquesas Islands. Gauguin's life inspired Somerset Maugham to write The Moon and Sixpence and Mario Vargas Llosa's 2003 novel The Way to Paradise is also based on his life. He has been the subject of two operas - Federico Elizalde's Paul Gauguin (1943), and Gauguin (a synthetic life) by Michael Smetanin and Alison Croggon. 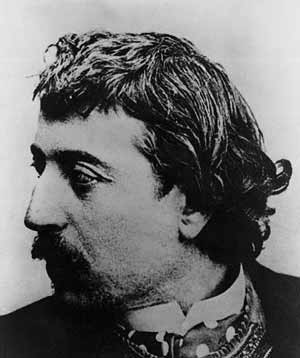 Déodat de Séverac wrote his Elegy for piano in memory of Gauguin.